1925: (Lawrence D) Buhl-(Alfred V) Verville Aircraft Div, Buhl Stamping Co, Detroit MI. Verville was also chief designer until he left the company in 1927, then Etienne Dormoy took over the job. 1927: Buhl Aircraft Co, Marysville MI; 1930: Buhl Airport, St Clair MI. 1933: Ended operations. 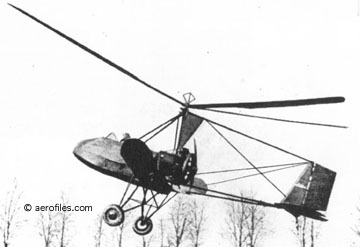 A-1 Autogiro 1931 = 2pOlwMAg; 165hp Continental A-70 pusher; span: 32'0" length: 27'0" rotor: 40'. Etienne Dormoy. 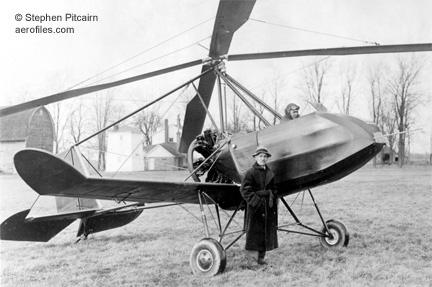 First pusher autogyro; built under license from Autogiro Co of America (Pitcairn); ff: 12/15/31 (p: Jimmy Johnson). Nacelle-type fuselage with triple-boom tail. POP: 1 [X369Y] c/n 1. CA-1 Airster 1930 (ATC 2-419) = 1pOlwM; 300hp Wright J-6. 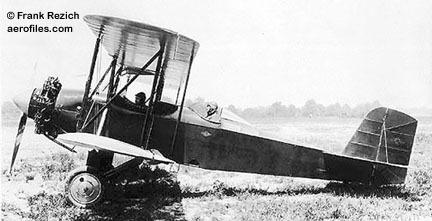 Sleek, cylindrical steel-tube fuselage with wooden cantilever wing; cowled motor. Designed for competition and eventual use as a mailplane, but anticipated interest failed to materialize. POP: 1 [X8454=NS41]. (2-419) for 300hp P&W Wasp installation in 1932. CA-1WA Airster 1930 (ATC 2-283) = 2pOlwM; 420hp P&W Wasp. Sport version of CA-1, wheel pants and speed ring. POP: 1 [NC8458]. CA-3 Airster aka J4 Airster (Buhl-Verville) 1926 (ATC 1, 2-6) = 3pOB; 200hp Wright J-4; span: 35'8" length: 24'4" load: 885# v: 125/110/42 range: 440. Alfred Verville. Awarded the first ATC ever issued, March 1927. Folding wings. Second place in 1926 Ford Air Tour (p: Louis Meister). One modified under (2-6) as 2p with 220hp Wright J-5 as a trainer for Army trials [X1673]. CA-3A Airster (Buhl-Verville) 1926 (ATC 1) = 3pOB; 225hp Wright J-5. POP: 3; one took third place in 1927 Air Derby, New York-Spokane (p: Nick Mamer), beaten only by two speedy Lairds. $9,300. CA-3B Airster (Buhl-Verville) 1926 = No data. POP: 1 . CA-3 Airsedan 1928 = 3pCswB; 225hp Wright J-5. Etienne Dormoy. Start of the Airsedan series. POP: 2 [5860, 5861]. 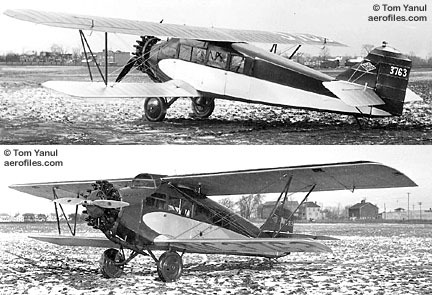 CA-3A Airsedan 1928 = Improved CA-3. POP: 1 , converted to CA-3C in 1929, then to CA-3CW in 1931. CA-3B Junior Airsedan 1928 = Slightly smaller 3p version of CA-3 with 110hp Warner Scarab. POP: 1 . CA-3C Sport Airsedan 1928 (ATC 46) = 3pCswB; 225hp Wright J-5; span: 36'0" length: 28'0" load: 1440# v: 134/112/47 range: 840. $11,000. POP: 9 [C4, C2441, C6816, C6872/6874, C7101, C7448, C7263]; [C4] converted to CA-3CW in 1931, [C7448] became CA-3D. CA-3CW Sport Airsedan 1931 (ATC 2-328) = 300hp P&W Wasp. POP: 1 conversions [NC4]. CA-3D Sport Airsedan 1929 (ATC 163, 2-72) = 300hp Wright J-6; span: 36'0" length: 25'0" load: 1183# v: 150/125/47 range: 700. $12,000; POP: 5 [NC8451, NC9630, NC9635], included 1 CA-3C as Angelino Jr (p: Loren Mendell), which was winner of the Oakland-Cleveland Air Derby at the 1929 Nationals [NC7448]. [NC9630] later converted to CA-6D Special. (2-72) for 4p conversions. CA-3E Sport Airsedan 1929 (ATC 2-309) = 225hp Packard DR-980 diesel; POP: 1 conversion [C8451], purchased in mid-1930 by Packard Motor Car Co for $8566.67 as a demnstrator for their diesel engine. It was sold 2/27/31 to Aeroposta Argentina who returned it to Wright J-6 [LBNVE], was damaged in a windstorm there some time after WW2 and never flew again. Its civil owner there sold it back to a US buyer in 1989, it was found decaying in a CA hangar c.1995 and bought by Greg Herrick (Golden Wings Museum) for restoration to flying condition. CA-5 Airsedan 1927 (ATC 12) = 5pCB; 225hp Wright J-5; span: (upper) 42'0" (lower) 32'4" length: 27'8" load: 1627# v: 120/105/48 range: 650-850. Etienne Dormoy, John Easton, W U Shaw. $12,500; POP: 9 [C885, C1496, C1732, C1771, C3701, C3763, C3915, C4356], and Dole Race entry Miss Doran (p: Augy Pedlar), lost at sea [NX2915];. CA-5A Airsedan 1928 (ATC 33) = Deluxe version for $13,500 with slightly increased performance. POP: 7 [C1451, C3034, C3762, C5311, C5464, C7452, C7624]. CA-6 Airsedan, Special 1929 (ATC 128, 2-51) = 6pCswB; 300hp Wright J-6; span: 40'0" length: 29'8" load: 1722# v: 145/115/45 range: 720. 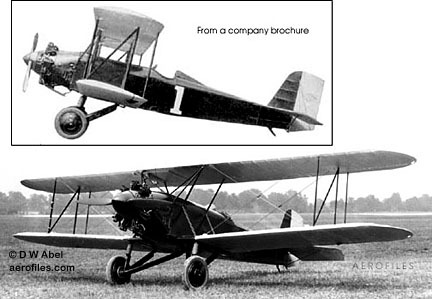 Sesqui-wing evolution of CA-5. $13,500; POP: 15 [NC8446, NC8448, NC8450, NC8452/8453, NC9627/9629, NC9631/9634, NC12829, NC14502, CF-AAY], of which [NR9629] was modified under (2-51) as CA-6 Special, Spokane Sun God (p: Nick Mamer, Art Walker], the first plane to fly non-stop, round-trip across the USA, 8/15-21/29, using air-to-air refueling to travel the 7,200 miles from Spokane to New York City and back in 120h:1m:40s. CA-6 Standard Airsedan 1929 (ATC 128) = 420hp P&W Wasp; length: 29'6" load: 2050# v: 145/115/45. POP: included in the previous batch. CA-6B Airsedan 1930 (ATC 2-225) = 450hp P&W Wasp. POP: 4, of which one was approved for 420hp Wasp [C8449, X8455, C8456/8457]. 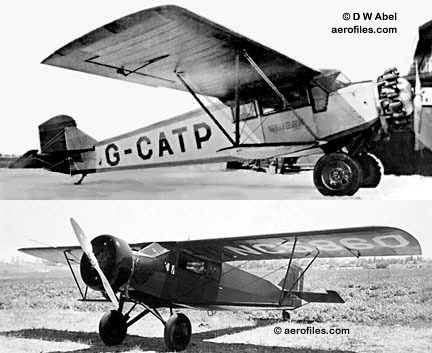 CA-6D Special 1931 = Conversion from CA-3D. POP: 2 [NC8447, NC9635]. CA-6J Airsedan 1931 (ATC 2-336) = Modified 5p CA-6 with 300hp P&W Wasp. [C8453]. CA-6W Airsedan 1929 (ATC 2-133) = Modified 4p CA-6 with 420hp P&W Wasp. [C9633]. 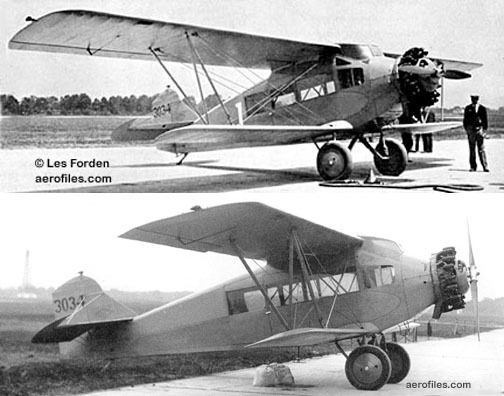 CA-8 Senior Airsedan 1929 (ATC 2-46) = 8pCswB; 450hp P&W Wasp C. POP: 2 [7570, 7705] c/ns 34 and 39. CA-8A Senior Airsedan 1929 (ATC 98) = 8pCswB; 525hp Wright Cyclone; span: 48'0" length: 36'0" load: 2658# v: 142/118/48 range: 775 ceiling: 18,000'. Etienne Dormoy. $19,500; POP: 3 [C9626, C12895, C14501] c/ns 40, 43A, and S-400. CA-8B Senior Airsedan 1929 (ATC 99) = As previous with 525hp P&W Hornet and similar data. POP: 1, possibly a conversion of CA-8A or a fresh model [NC14501] listed in registers as -8A perhaps erroneously. Documentation is lacking, but the question is why a new ATC would be issued for an engine change unless this was for a planned production that never developed. The radical change in c/n S-400 suggests the latter. 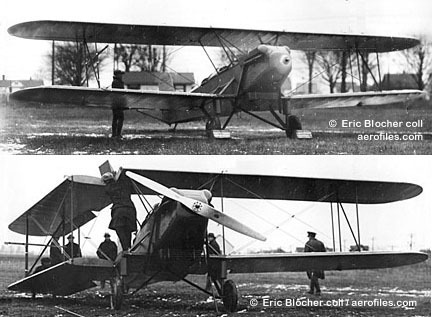 CW-3 OX5 Airster (Buhl-Verville) 1925 = 3pOB; 90hp Curtiss OX-5; span: 35'0" length: 25'0" load: 770# v: 95/80/40 range: 475. Alfred Verville. Folding wings. POP: 3 [656, 2366/2367]. CW-3 Wright Trainer (Buhl-Verville) 1926 = 2-3pOB; 220hp Wright J-5; span: 35'0" length: 25'0" load: 885# 133/x/45 range: 450. POP: 1 for unsuccessful military trainer trials . LA, LA-1, -1A, -1B, -1S Flying Bull Pup 1930 (ATC 405) = 1pOmwM; 45hp Szekely SR-3; span: 30'0" length: 19'0" load: 292# v: 95/76/35 range: 240. Etienne Dormoy, John Easton, W U Shaw. $1,250; POP: more than 100; ff: 10/14/30. Prototype LA [X8459] had 26hp Aeronca, and fabric-covered steel-tube fuselage. Production models had an all-metal monocoque fuselages; ff: 1/7/31, as 2 experimental LA prototypes [X8460, X8461] (p: Jimmie Johnson). Optional wingspans of 28' for competition as LA-1A [NC346Y] and 32' for high-altutide flying as LA-1B [NC370Y] were available, but the 30' wing was standard and only a few variants were sold. LA-1S was twin-float version. Offered briefly with a 26' wing as Speedwing for racing, but again with few sales. Set a lightplane altitude record of 22,500' 6/13/31 (p: Mae Haizlip). Production ended in 1932, with remaining stock being sold for half-price. SEE Packard (MI).